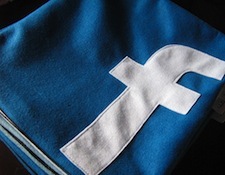 Facebook has rolled out a new Open Graph feature that will allow members to follow actions from Facebook Apps. The new built-in “follow” action will enable people to receive updates about other members’ app activity within their News Feeds, whether or not that person has subscribed to or is friends with the individuals performing those actions. For example, someone could choose to be notified when another member uploads a photo to Instagram, or when a foodie publishes a review within a food review app. The benefit for developers is that you’ll receive additional distribution across the social network — through News Feeds, Ticker, Timeline, and notifications — which promotes re-engagement and viral growth. Many Facebook members visit the platform several times a day, but they don’t always visit other services, at least not as frequently. Open Graph follows makes it so they don’t have to; they’ll see prompts in their News Feeds that will take them there. Facebook said it will no longer approve custom follow actions. Instead, apps that currently use a custom follow action must adopt the new built-in follow within the next 90 days.